I lived on the outskirts of Philadelphia for a good portion of my life. 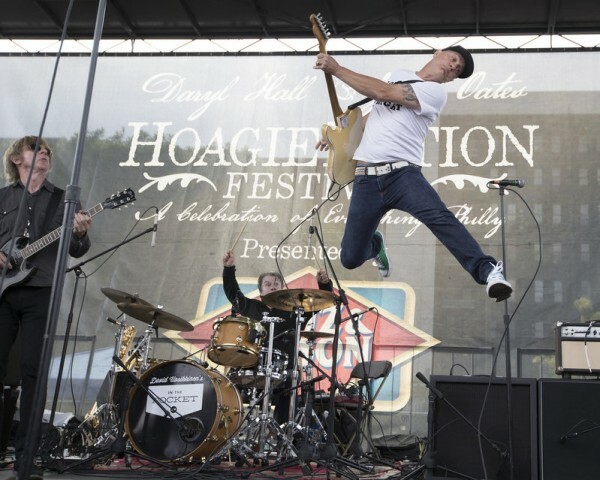 The best things about the city are not their cool neighborhood bars, not their cheese steaks nor soft pretzels – nope it was their vibrant and passionate local rock music scene. …The trio of younger artists kept the soul burner in summer in their sets. 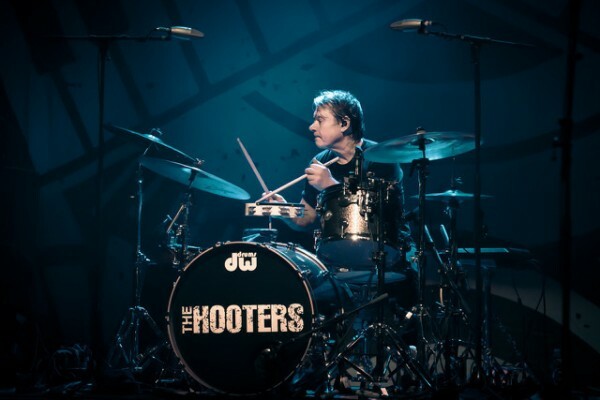 It was up to the old heads in In The Pocket, the ad-hoc group of Philly music scene vets led by Hooters drummer David Uosikkinen. You can’t have a Philly-themed rock and pop music festival without David Uosikkinen’s In the Pocket. 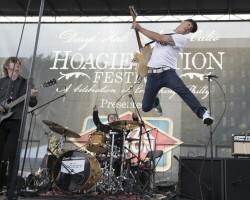 So when Live Nation and favorite Philly sons Daryl Hall and John Oates announced in March that they’d be staging the inaugural HoagieNation Festival on Festival Pier at Penn’s Landing on May 27, calling it “a celebration of everything Philly,” the inclusion of In the Pocket seemed like a no-brainer. 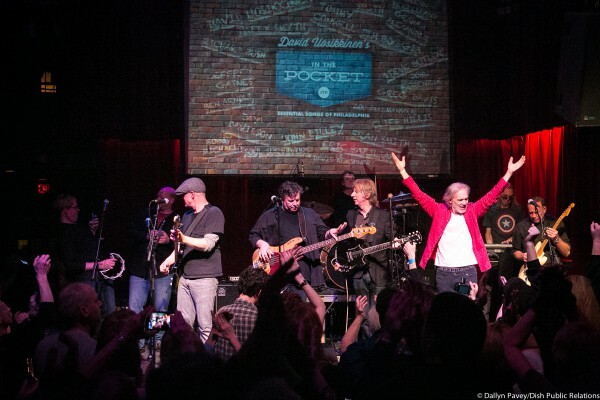 You know all those music awards shows that feature an all-star jam at the end of the night? David Uosikkinen’s In the Pocket project is like that for an entire concert — only all of the musicians have Philadelphia connections. 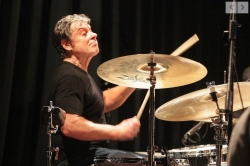 Uosikkinen, long-time Hooters drummer and Bristol Township native who is celebrating 50 years in music in 2017, brought In the Pocket to World Café Live Wednesday night, and his ever-evolving lineup of area musicians delivered a dynamic, crowd-pleasing set of songs near and dear to Philadelphia. 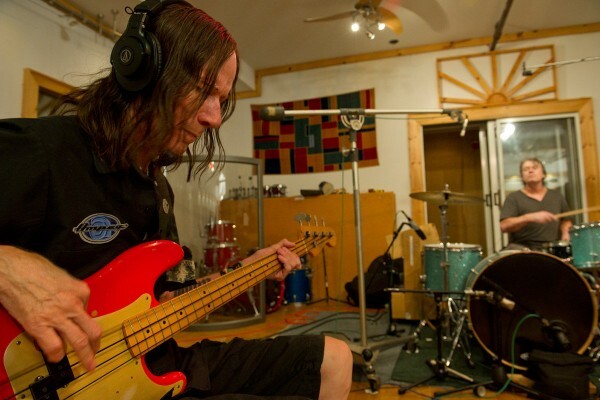 The project has recorded and released 15 “essential songs of Philadelphia,” each accompanied by a behind-the-scenes making-of video from South Jersey producer Steve Acito. All are worth listening to and watching, but it is onstage where these songs really come to life. Wednesday’s show started with an emotional tribute to recently deceased Soul Survivor (and ITP regular) Richie Ingui. Before the music began, the video for the making of In the Pocket’s 2016 rendition of the O’Jays’ “Back Stabbers,” which featured brothers Richie and Charlie Ingui of the Soul Survivors on lead vocals, was shown on the large screen behind the stage. 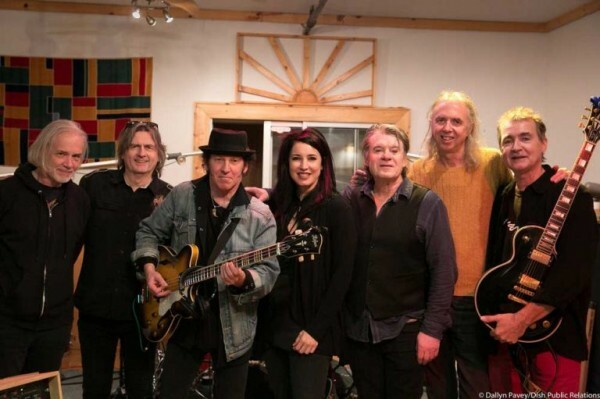 (That song also paid tribute to legendary area guitarist TJ Tindall, who played on the original “Back Stabbers.” Tindall was an In the Pocket regular who died a week before the band recorded the song). Following the video, the entire ensemble — more than 20 musicians in all — took the stage, fronted by Charlie Ingui for a (pardon the pun) soul-stirring performance of “Expressway to Your Heart.” An emotional Ingui, who was clearly moved by the enthusiasm of the crowd, sung with the intensity and passion of a man a third his age, and the other musicians fed off his energy. It was a true show-stopper … and it was only the first song of the night. From there, the concert was one giant party, nearly two and a half hours of great songs and great performances. 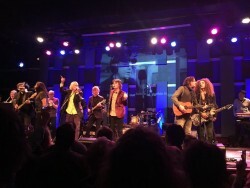 Most of the songs had direct ties to Philadelphia, but others were just all-time classics that the musicians clearly had a blast performing (such as Kenn Kweder fronting “Like a Rolling Stone,” Richard Bush fronting “Suffragette City” and Jeffrey Gaines fronting “(What’s so Funny ‘Bout) Peace, Love and Understanding” — all among the night’s many highlights). More than 30 years after the heyday of Philly new wave favorites The A’s, Bush remains one of the most dynamic rock ‘n’ roll frontmen in the city’s history, splendidly working the crowd on the Dead Milkmen’s “Punk Rock Girl” (alongside Tommy Conwell), as well as David Bowie’s “Suffragette City” and the A’s own “A Woman’s Got the Power.” (You can catch Bush’s band the Peace Creeps when they open for the Plimsouls Re-Souled Friday at Boot & Saddle). While the night was largely about celebrating the past with musicians who have been on the scene for decades, there were a few nods to the present, most notably in the presence of big-haired, big-throated 18-year-old throwback Joey Ditullio, a South Jersey native who was awarded the opening slot after the Ingui tribute and delivered a raucous version of Cinderella’s “Shelter Me,” as well as a cool performance of the Stories’ 1973 hit “Brother Louie,” featuring bassist Kenny Aaronson, who played on the original. 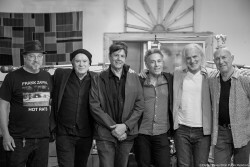 The night also featured a song from the current lineup of still-active 1980s South Jersey-based power pop band Smash Palace — original member Stephen Butler on vocals and guitar, Cliff Hillis on rhythm guitar, Fran Smith Jr. on bass, Wally Smith on keyboards and Uosikkinen on drums. The night was not without a few extremely minor technical hiccups, but this did nothing to detract from the flow of the show and, if anything, added to the loose, unscripted feel of the evening. With 20-some musicians coming on and off the stage throughout the night and lineup changes before nearly every song, it’s amazing the whole thing ran as smoothly as it did — a testament to the musicians’ professionalism and passion for the project. 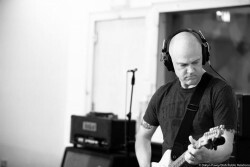 In the Pocket’s next show is April 15 at the Ardmore Music Hall. When David Uosikkinen brings the latest installment of the live performance side of his “In The Pocket” project to the World Café Live (3025 Walnut Street, Philadelphia, 215-222-1400, www.worldcafelive.com) on January 25, there will be an empty place on stage. 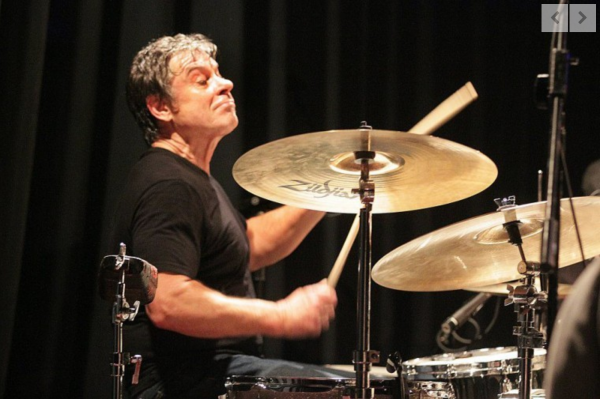 Richie Ingui, one of the core members of the group, passed away suddenly last week of a possible heart attack at age 70. Charlie and Richie Ingui, who both performed with In The Pocket, were the main players in the Soul Survivors, a Philly-area vocal group that had a huge hit with the song “Expressway to your Heart.” The song was credited for setting the foundation for Kenny Gamble and Leon Huff’s Sound of Philadelphia. “Expressway” reached Number 4 on the Billboard pop chart and became established as a TSOP (The Sound of Philadelphia) classic. Six years and 15 songs ago, Uosikkinen and his girlfriend, publicist Dallyn Pavey, conceived the In the Pocket side project to revitalize memorable Philly rock songs with veteran Philly musicians, record them while BlueWire Media producer/director Steve Acito shot documentary video for online viewing, then perform them live in local clubs. PHILADELPHIA (CBS) — Local music fans are in for a treat Saturday night when ‘In the Pocket,’ a review featuring some the area’s most celebrated musicians, pays tribute to the Soul Survivors, who perform the vocals on a new cover of a Philly Soul classic. “In The Pocket” goes “Walkin'” with a Tommy Conwell classic! Just before I split for vacation, we announced that David Uosikkinen’s In the Pocket had been added to the bill of MGK’s Big Gig on 9/5 at Susquehanna Bank Center! Here’s the group’s (lucky) 13th single, Walkin’ On The Water, originally recorded by Tommy Conwell & The Young Rumblers! Tommy lays down the smokin’ licks with vocals provided by Dave Hause of The Loved Ones!